My tests which have been carried out January - February, 2006. This luge was made by me in home conditions. 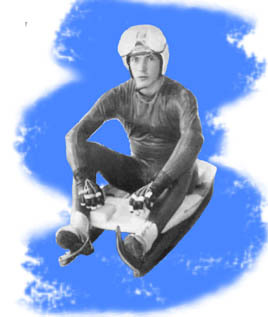 But the special design of my luge and the use the new handling method of sliding surfaces of runners resulted in my victory in the All-Union competition declared by the Sports committee of the USSR in 1989. This result was mostly due to speeding-up at the end of the route. 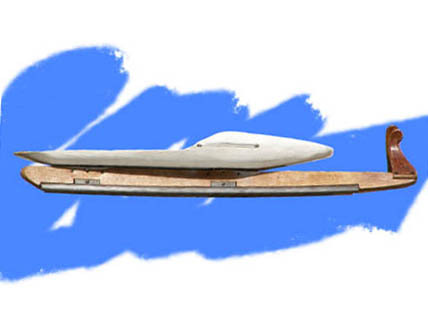 All the years after that I returned to development of luge designs. Now I know what are the best materials of runners, how to treat them and also how to better the luges which are already in use. the best in the world luge! Luge, bobsled, skeleton, skates are just the sport fields where my knowledge may be used.